Product #20757 | SKU GSLG | 0.0 (no ratings yet) Thanks for your rating! 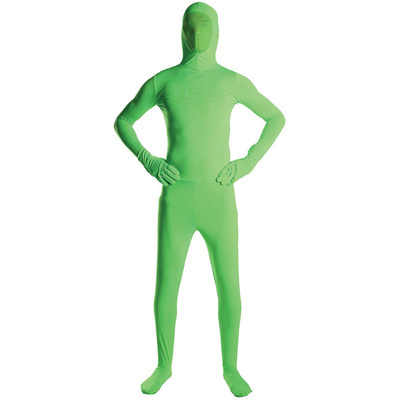 The large/x-large Green Screen Suit from Savage permits you to create some interesting live action images and is used for chroma key filming. The suit is easy to put on and remove using the zippers that are found on the back and wrists. The fabric is a knitted stretch polyester that is comfortable to breathe in and easier to move around in. The facial area features a thin stretch fabric that makes using it easier and more comfortable.